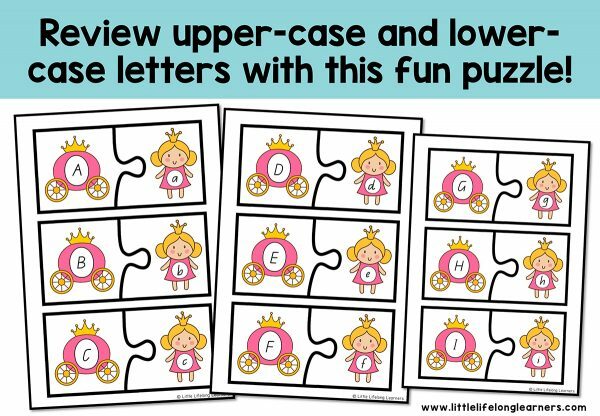 Your little learners will love matching uppercase and lowercase letters with these simple princess puzzles! 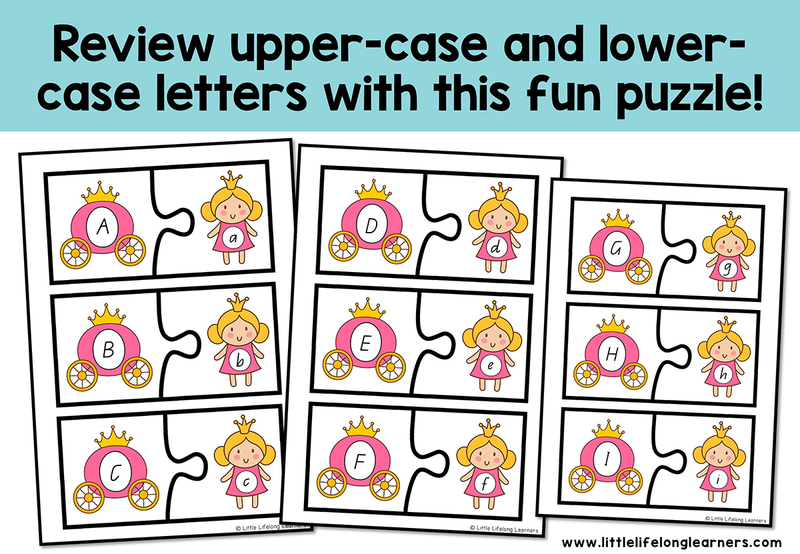 These princess themed upper-case and lower-case alphabet puzzles are perfect for reviewing letter recognition with your preschool and Prep/Foundation children! 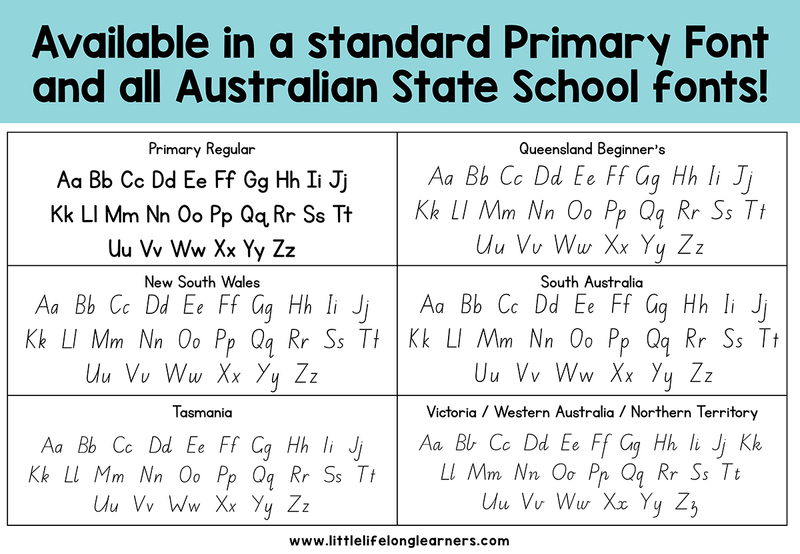 The puzzles include all Australian State Fonts and a standard Primary Font for all children. Set of 26 princess alphabet puzzles – matching upper-case to lower-case letters! Laminate and cut out each of the pieces! Have your little learners match the upper-case carriage to the lower-case princess! You may even like to add the pieces to a sensory tub full of chickpeas for an added sensory element! These puzzles would be a wonderful resource for literacy groups and independent morning work. Check out my other alphabet activities and resources! 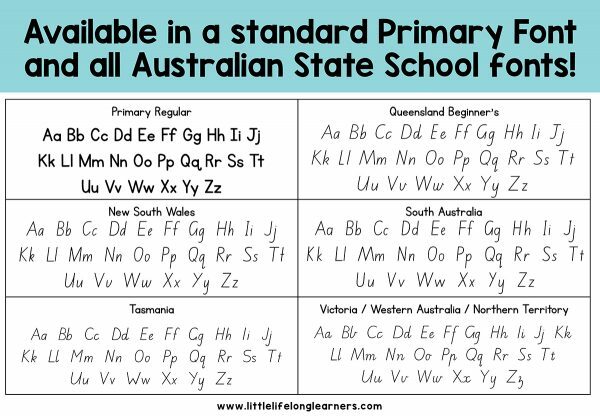 All Australian State School Fonts – QLD Beginner’s Font, NSW Foundation Font, VIC Modern Cursive Font, SA Font and TAS Font. Please note that this is a DIGITAL product and that no physical product will be delivered. You will be able to download the PDF files at any time by logging into your account after purchase.